GERMANY, EMPIRE. 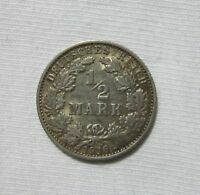 SILVER 1/2 MARK, 1916 G.
GERMANY, EMPIRE. 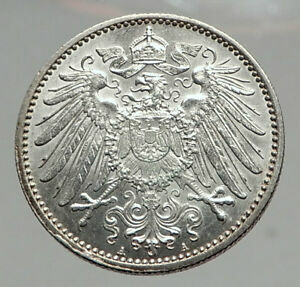 SILVER 1/2 MARK, 1906 D.
GERMANY, EMPIRE. 5 PFENNIG, 1913 J. KEY DATE. Great coin, a welcome addition to the silver collection. About UNC 1 mark coin. Very nice coin at a fair value. Service was great.